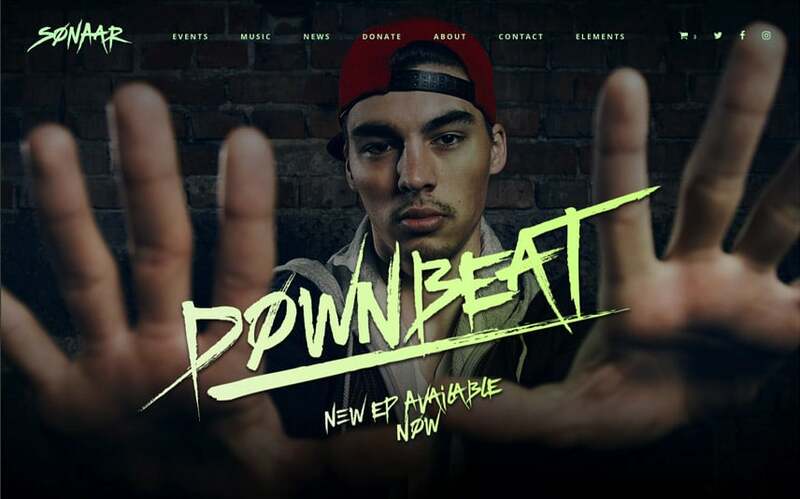 Why Downbeat is one of the best Hip-hop and DJs WordPress Theme? Downbeat theme is a colorful, big & bold and stunning WordPress theme crafted for DJs, Hip Hop and Electro artists. The fully responsive layout makes it look sharp on all mobile devices. 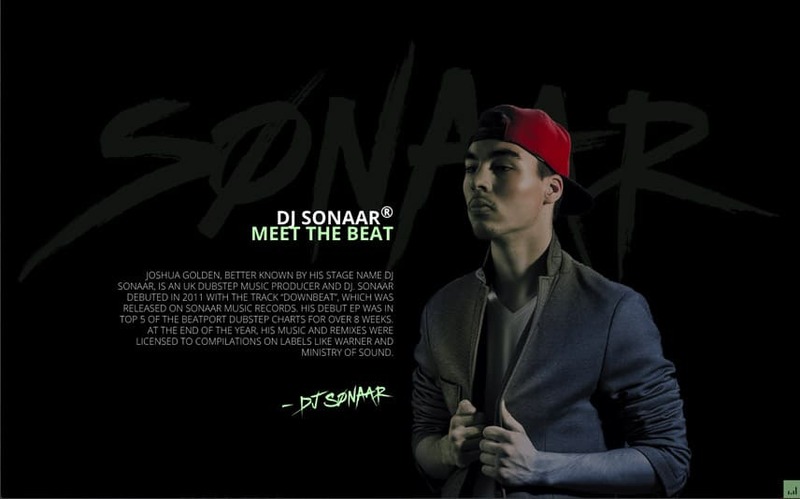 This hip-hop template comes with slick biography and big boxes to promote your best features. 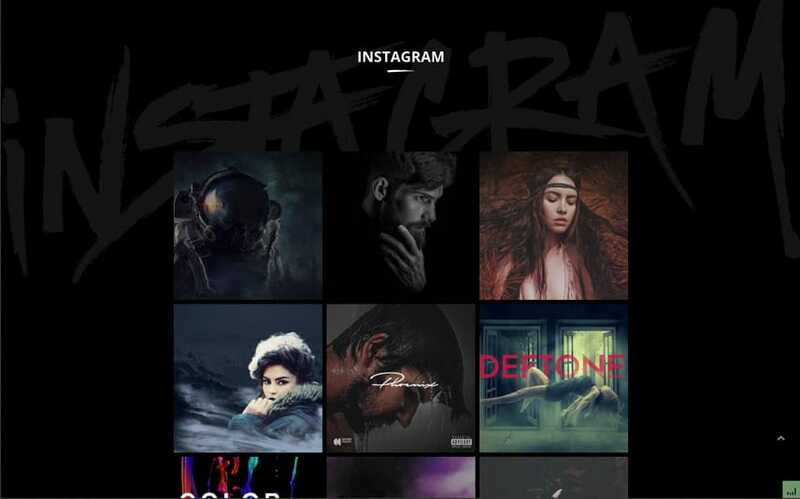 On your homepage, show your fans a big and bold slider along with your latest music, Instagram photos and upcoming events. Of course, you can switch all the colours and contents for your own assets. Unleash your creativity now because Downbeat is the new era of websites in the DJ industry. Downbeat is a very stylish WordPress theme for DJ and can be used for different types of artist. If you are a nightclub DJ, hip-hop MC, singer, resident DJ or even a music band, this fully responsive WordPress theme comes with many customizing options. All the pages and custom posts are designed with Visual Composer. VC plugin is a very intuitive drag and drop page builder for WordPress and is bundled free with this DJ template. You can also use revolution slider to have immersive music video background. What really stands out from free WordPress themes is our premium ajax mp3 player. You can manage all your mix playlist with the discography custom post type and upload unlimited mp3, tracks and albums. You can also share your compilations and beats to your social media in one click. The music player and page loading are ajaxified which mean you can listen to your music without interruption to the sound when you click on one of your menu items. The audio player is sticky in the footer. It’s really a great WordPress feature. The event manager is also a nice addition to this hip-hop WordPress theme. You can promote your events with a list view or grid format. Each single events can have their own call to action buttons, countdown, videos and social icons. There are many options and of course, you can change the typography with Google Fonts and the colour scheme. Promoting yourself as a rapper, nightclub DJ, wedding DJ or resident DJ is a key to success in the music industry and your website will help you to rise to the top. Downbeat can be used as an Electronic Press Kit, also known as EPK in addition to all the social networks you are already using. It’s show time!